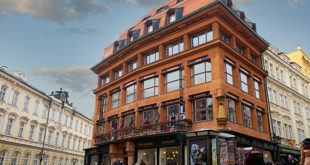 Situated on the corner of Celetna Street and Ovocny trh, this building was constructed in 1911-1912 by the noted architect Josef Gocar, and it bears a distinct cubic style. Cubism uses geometric shapes in its buildings and this is most certainly the case with this building. 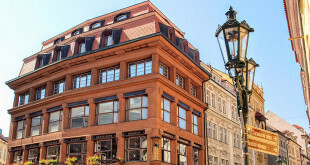 The House of the Black Madonna was originally a building that housed both offices and commercial shops, as well as residential areas. Now though it is considered to be a national monument and is currently an art gallery celebrating the Cubism movement.